The day we’ve been waiting for is finally here: Nebraska’s annual Red-White Spring Game. The spring game is sold out for the second year in a row, and the Huskers are also expecting an impressive group of signees, commits and recruiting targets on the sidelines (Premium). Fans watching both at Memorial Stadium and at home can also expect to see some legitimate football on Saturday. Sure, the Huskers want to get out of the day healthy but they also want to ensure fans get to see the team in action. Coach Scott Frost gave a quick rundown of how the day will look earlier in the week. Curious who might win? History is on the Red Team’s side, with the Red Team leading the series 42-15-1. The Red Team—led by quarterback Adrian Martinez—dominated the White Team 49-9 at last year’s spring game. 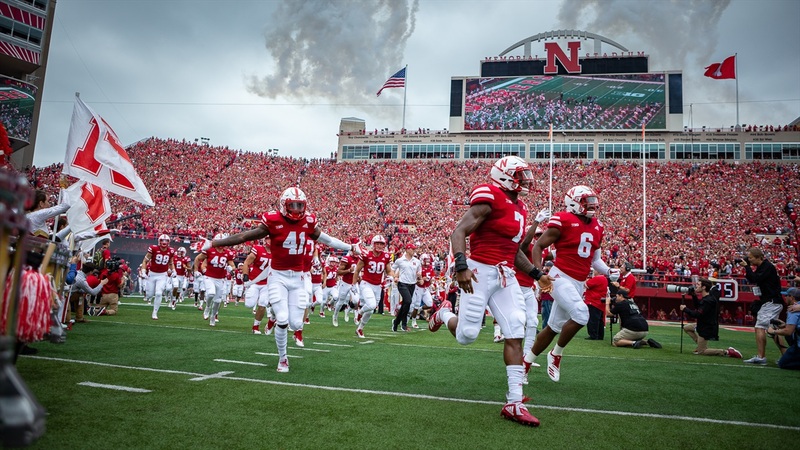 Radio: Huskers fans can listen to the Nebraska spring game on IMG Husker Sports Network with Greg Sharpe, Matt Davison, and Bredan Stai on the call. Internet radio will be available at Huskers.com and on the TuneIn app. Weather: Sunshine and clouds mixed throughout the day. High of 56 degrees. Winds NNW at 10 to 15 mph. For additional information and a full list of the players that will not participate in Saturday’s Red-White Spring Game, head on over here.